A gentle walking holiday combining the amazing lunar landscapes of the Atacama desert and Salt Flat with the cosmopolitan cities of Santiago and Valparaiso and the delicious wineries of the Maipo Valley and Casablanca. The perfect package! Fly overnight London to Santiago. Transfer to hotel to rest and refresh. Take a half day city tour visiting key sights including the Mercado Central, Plaza de Armas, the Presidential Palace and the bohemian Lastarria neighbourhood. 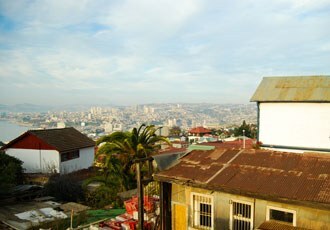 Climb Cerro Santa Lucia for panoramic city views. Excursion to the famous Chilean wineries of the Maipo Valley. Explore the Santa Rita winery by bike or foot learning about viticulture and enjoying a sample or two of some of the excellent wines. Return to Santiago. Drive across the Maipo Valley to the foot of the Andes for a great day walk to the El Morado glacier and lagoon. It’s a three-hour walk up rocky slopes to the sparkling glacier. Stop for a tasty picnic lunch before returning to the vehicle and back to Santiago. Transfer to the airport and fly north to Calama near the Bolivian border. Transfer to your hotel with time for a leg stretch and lunch in the pretty town of San Pedro. In the afternoon drive to Kari Canyon and take a short hike to its base. 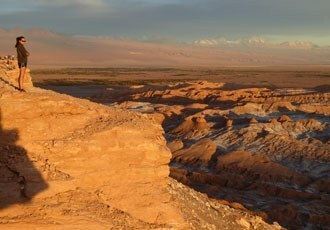 Drive to the viewpoint for Valle de la Luna (Moon Valley) and watch the sun set whilst sipping a ‘sundowner’. Drive to the village of Yerbas Buenas for a 12km circular walk through the multi-coloured rock formations of Rainbow Valley. Visit the pre-Columbian ruins at Yerbas Buenas featuring over a thousand ancient stone carvings. After breakfast, drive to Talabre for a 15km walk to Patos. The trail crosses many gullies and passes ancient cave paintings. 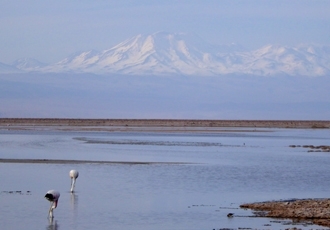 Drive on to Chaxa Lagoon – a natural reserve in the Atacama Salt Flat where you may see flamingos and other birds. Walk from Toconao, a beautiful Andean desert village, to Quebrada de Jerez. This region is a natural oasis and provides a uniquely verdant landscape in an arid area. Drive on to the Miscanti and Miniques Lagoons considered to be the undisputed highlights of the region or their incredible natural beauty. Visit the Taito Geysers – the third largest geyser site on earth. Walk round the geothermic field and then take the Copa Coya trail, through another unique eco-region, to reach a high Andean plateau of the same name. Return to San Pedro via the Tatio Thermal Pool where you can enjoy a quick dip. Ascent of Cerro Toco volcano to enjoy breathtaking views of the surrounding volcanoes and desert landscape from the summit. Return to San Pedro. 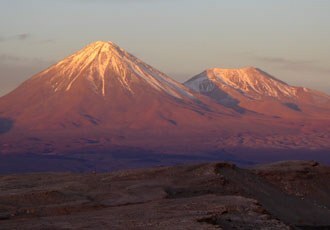 Transfer to Calama airport and take the return flight to Santiago. Spend the rest of the day at leisure or sightseeing. 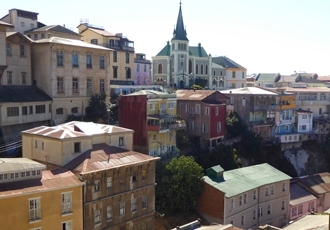 Drive to the nearby seaport city of Valparaiso, and enjoy a guided tour of the main sights of this World Heritage city. On the way back to Santiago stop at a Casablanca winery for a tour and tasting. Transfer to Santiago airport and fly home. 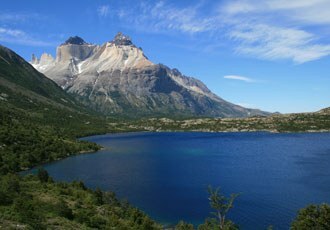 A 10-day walking holiday exploring the best trails and views in the Torres del Paine National Park in Patagonia. An ideal trip to combine with time in Argentine Patagonia or Easter Island. Fly overnight London to Santiago. Transfer to hotel. 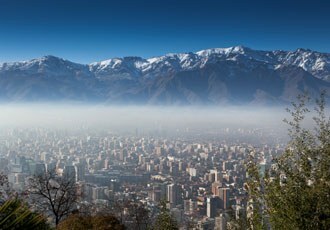 Take a tour of Santiago’s main tourist attractions. Fly to Puntas Arenas then transfer to Puerto Natales. Spend the rest of the day exploring this pretty and interesting town on the edge of Last Hope Sound. Transfer to the dock at Natales and board a catamaran for a two hour cruise. There are stunning views of the surrounding glaciers and mountains and plenty of bird and wildlife spotting opportunities. Eventually reach Puerto Torre and walk to the base of the impressive Serrano Glacier. 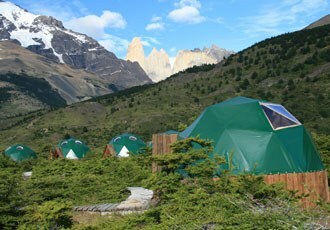 From there, transfer to the Eco Camp with its unique dome accommodation. You will spend the next four nights here. A full day’s walk to the mirador (lookout point) for the three granite Towers of Paine – the most iconic sight in all of Patagonia. A picnic lunch will be enjoyed at the mirador before returning via the same route. In the morning, drive to Lake Pehoe and walk along the Nordenskjold Trail. 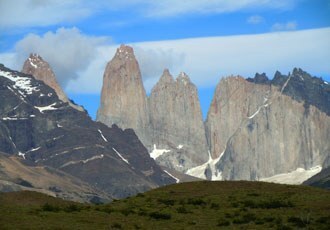 The two hour trail takes you to Salto Grande Falls and also gives excellent views of the Towers of Paine. In the afternoon drive to Guarderia Sarmiento and trek to Guarderio Laguna Amarga. 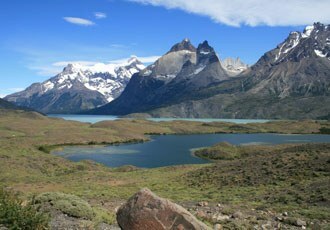 This is a favourite habitat of the puma and the walk offers superb views of the Cuernos of Paine. Return to Lake Pehoe and board a catamaran to cross the lake and reach the start of the trail into the French Valley. This path takes you into the heart of the Paine Massif where you will have majestic views of the whole group of geological formations in the high valley. Return by an alternative route to your catamaran. Drive back to Puntas Arenas with time for last minute souvenir shopping. 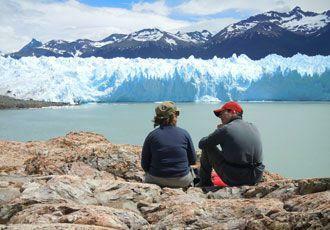 You could extend your time in Patagonia by travelling east to Argentina and the Los Glaciares National Park – home to the Perito Moreno Glacier and the iconic peaks of Fitz Roy and Cerro Torre. Fly to Santiago and then either return home or continue on to Easter Island. A comprehensive three-week tour of Chile's three most scenic regions - the beautiful Lake District, dramatic Torres del Paine and the wonders of the Atacama desert. Fly to Santiago and transfer to the nearby seaport city of Valparaiso. Enjoy a guided tour of the main attractions of this World Heritage city. On the way back to Santiago stop at a Casablanca winery for a tour and tasting. Transfer to the airport and fly to Puerto Montt in the central Lake District region of Chile. Transfer to Puerto Varas – a beautiful lakeside town. Tour the town and visit a local artesinal brewery. Visit Perez Rosales NP. 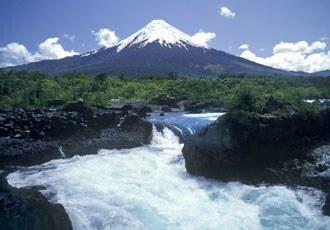 Drive to Osorno Volcano and take the ski lift to the top for exceptional views. Drive on to Petrohue Falls and take a stroll along one of the nature trails before continuing to Lago Todos los Santos – considered to be one of the most beautiful lakes in the whole Lake District. Drive and ferry ride to reach the island of Chiloe Grande, the largest of the many islands in the Chiloe archipelago. Stop en route at the scenic bay at Caulin for birdwatching before travelling on to the picturesque bay side city of Ancud. Explore some of the key local sights including the Parque Nacional Chiloe, the penguin colony at Islotes de Punihuil and the Isla Quinchao – rich in the traditional Chilote culture. Transfer to Puerto Montt airport and fly to Punta Arenas in Patagonia. Transfer to a comfortable, central hotel at Puerto Natales – a pretty and interesting town on the edge of Last Hope Sound and a gateway to the Torres del Paine National Park. Using Puerto Natales as a base, explore some of the many scenic delights of the region. Possible excursions include impressive Glacier Grey, Milodon Cave National Monument, a lakeside walk to Salto Grande Falls and a catamaran cruise to Serrano glacier – one of the most beautiful in the area. Transfer back to Punta Arenas and fly to Santiago. 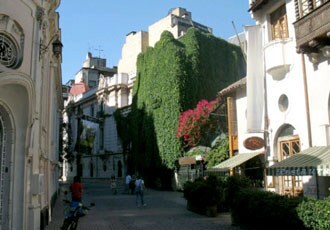 Take a tour of the main city sights and visit a winery in nearby Maipo Valley. Fly to Calama and drive to San Pedro. Time at leisure in the afternoon before driving to Moon Valley for a spectacular sunset. 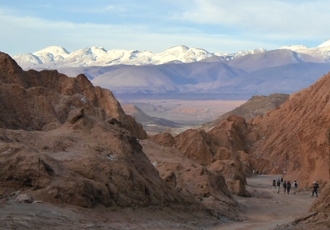 The Atacama desert has numerous natural and historic attractions to discover. Using San Pedro as your base, you can visit the Tatio Geysers, the wetlands of Machuca, the rock carvings at Yerba Buenas, beautiful Laguna Chaxa - home to several species of flamingo and the pre-Colombian ruins at Rainbow Valley. Transfer to the airport at Calama and fly back to Santiago then on home.